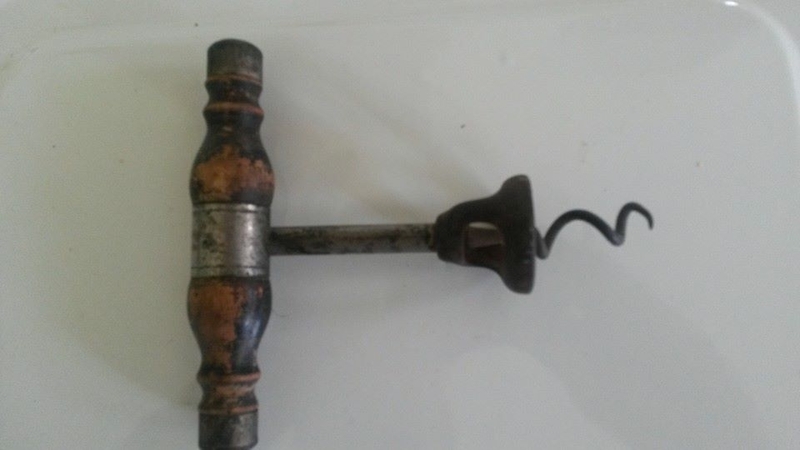 It isn’t an uncommon thing, that I receive emails ranging from asking if the person has any standouts in their collection, if I can offer an appraisal/evaluation of a corkscrew or two, and sometimes if I might be interested in acquiring the corkscrew(s) being offered. And, the other day (Sunday actually) whilst the lovely personal personal trainer and I were on the mainland, three such emails came through asking just those questions. The collection of corkscrews, where I asked if there were any stand outs, or special pieces, didn’t really have anything truly rare within it. 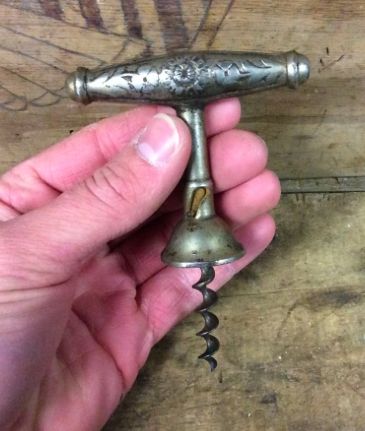 That said, if I was starting out, and was offered any number of corkscrews in the collection, I would have been thrilled. Rare and expansive? No. But, unusual and cool. Most definitely. The second email, came through without a picture attached, but just an offer. It explained that they had a Haff patent with bell assist, for sale if I was interested. With no photos attached, I responded seeking pictures, and knowing they these don’t turn up often, expressed my interest. The photos arrived, and the helix has an odd twist to it. Still, as hard to come by as it is, I wanted it. And, the price was pretty darn fair. The Haff patent is heading to the island. We shall see how to cleans up. 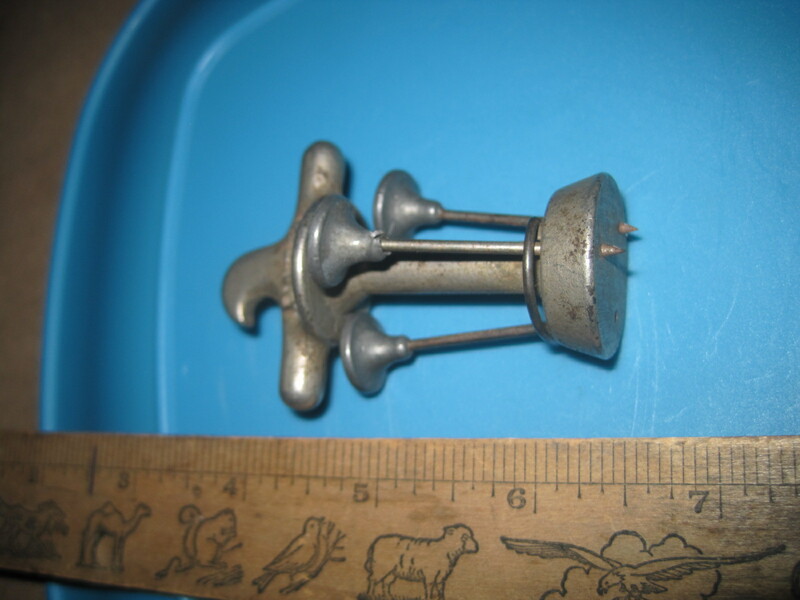 The third email was someone asking for an appraisal of their cork puller. And, pictures were attached. After a brief exchange, it was explained that the U-Neek was indeed for sale, and after going back and forth, yesterday a deal was agreed upon, and it too is heading to the island. If you have any corkscrews, you don’t have to wait until next Sunday. Feel free to send pictures! Maybe we can work a trade or sale! 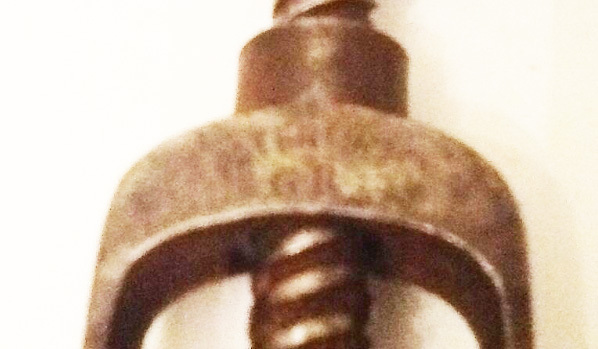 screw in many cases ends disastrously to the person making the attempt, especially when the cork fits tightly in the neck of the bottle and refuses to be removed until the bottle has been placed between the knee and the corkscrew tugged at for several minutes. Then it invariably comes out with a sudden jerk, throwing contents in all directions. 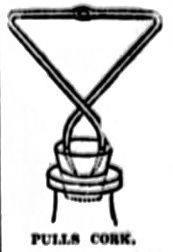 Notice how simply and easily even the most tightly wedged cork can be withdrawn with the corkpuller shown in the accompanying illustration. 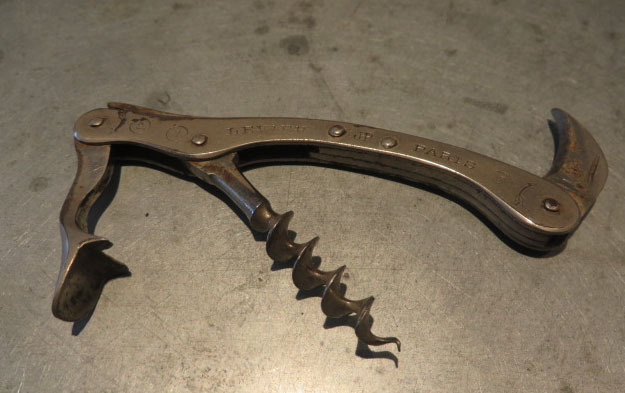 After the corkscrew proper has been inserted in the cork, the upright arm forming a wedge is placed on the neck of the bottle. 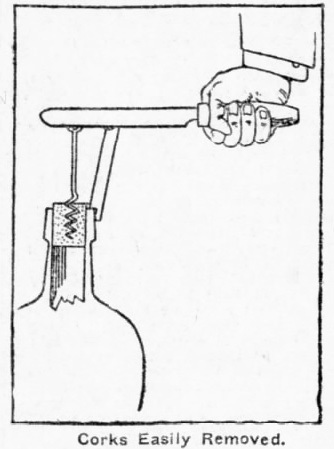 Using the handle as a lever, the most obstinate cork can be readily extracted without endangering the clothes of the operator. 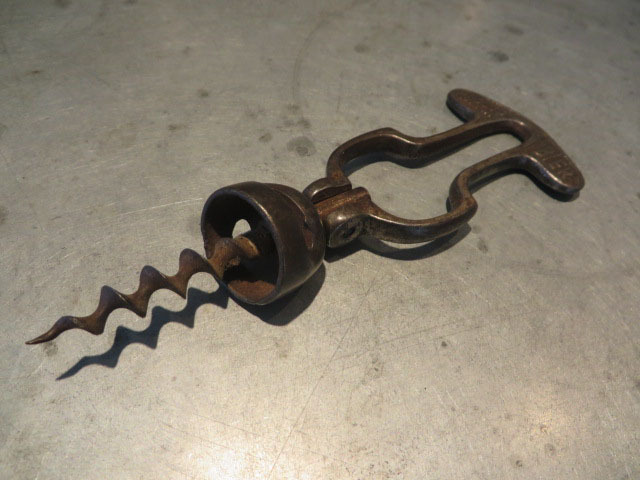 When not in use the corkscrew and wedge can be folded within the outer end of the handle, which is hollowed out to form a housing. Looks like Charles Rees’ 1907 patent (#850,184) to me. Of course, I don’t yet have a Rees patent, so if you have one to trade, feel free to drop me a line! Corkscrewing around has been on the back burner as of late–as you may have gathered. And, the last few days have been spent heading to the mainland for new shelving for the wine shop, working with square up for a new point of sale system, meeting with carpenters and metal workers, as well as doing much of the improvements needed on the building. 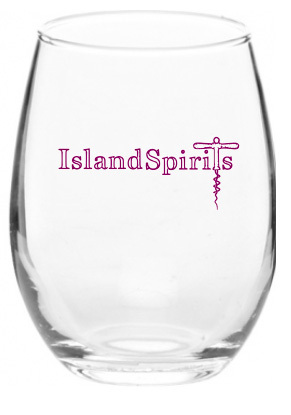 And, of course there is licensing, a bit of graphic design, new stemless wine tasting glasses (soon available for purchase) and just general getting ready stuff for when we reopen in May. That said, there has been a corkscrew purchase as of late. An interesting Erhardt/Reissman patent, that is marked across the frame PATENTIRT GR. 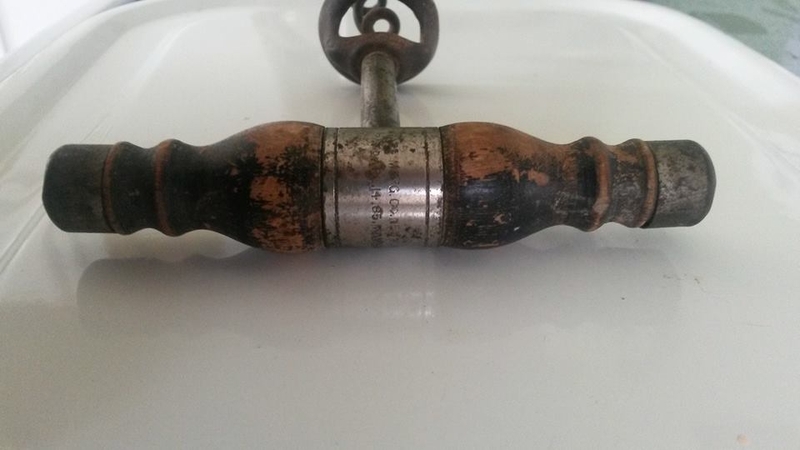 I have only seen a couple of these, without the little wooden balls on the sides of the handles. 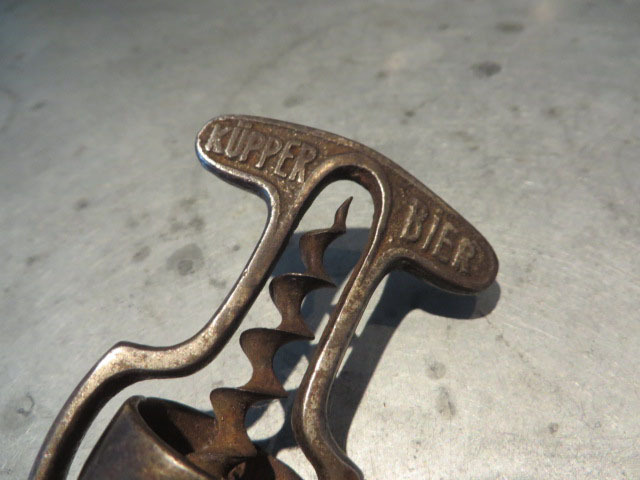 A nice addition to the collection, although being of German origin, as I focus on American corkscrews. it might be available for trade if any of you are so inclined. Speaking of trading there have been phone calls and emails going back and forth between RL and I, and we may have a deal that will bring the embossed Curley–mentioned in the past, into the collection. 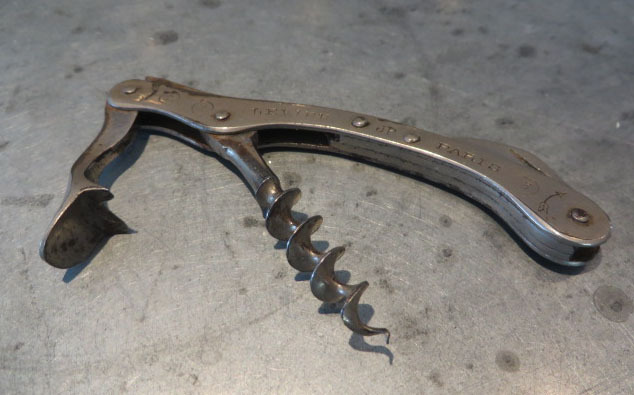 How many times have you given a corkscrew a last desperate yank to have it come ripping out and the cork remain in the bottle, torn up to such an extent that it is impossible to get another hold on it? If you have had this experience you will welcome the news that there is a new cork extractor in the market which not only has not the bad habits of the old corkscrew but will extract a cork after the center has been pulled out by the latter. 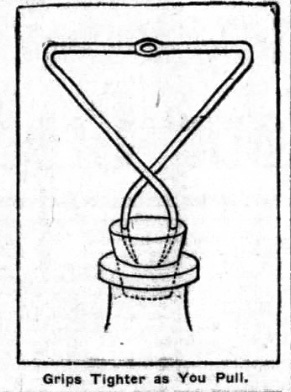 This new extractor, which was devised by a Connecticut man, consists of two pieces of wire having their upper ends hinged and forming a handle part and crossing each other at the middle, after the fashion of ice tongs. The lower ends are pointed and curve toward each other. These points are thrust into a cork and as the operator pulls on the extractor the wires grip tighter. 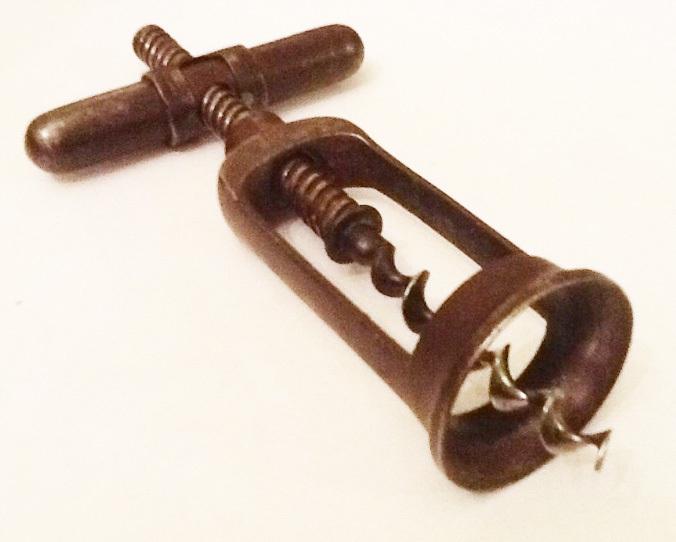 It does not require much cork to give a purchase and the device will be found invaluable when a corkscrew has succeeded in only mutilating a cork. 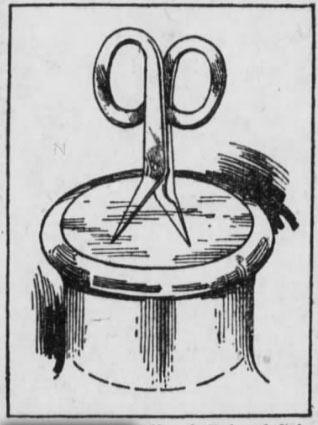 A newly designed cork puller looks like a pair of scissors which has been ruined by some thoughtless person endeavoring to use them to perform the functions of a screw driver. 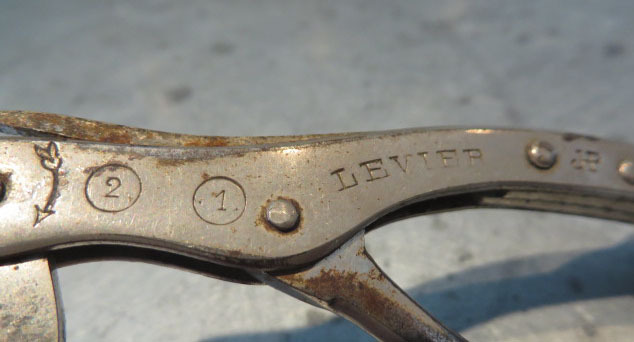 It has the usual pair of handle loops but the points are bent outward. Cork Extractor Like a Pair of Scissors. When the handles are parted these two points are brought together and in this position thrust into the heart of the cork. The handles are then brought together and a slight pull brings out the cork. 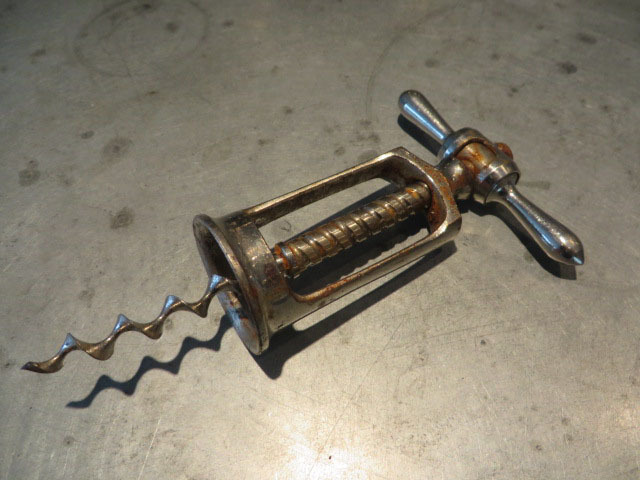 It is claimed that the cork is never crushed as with the old-fashioned corkscrew. 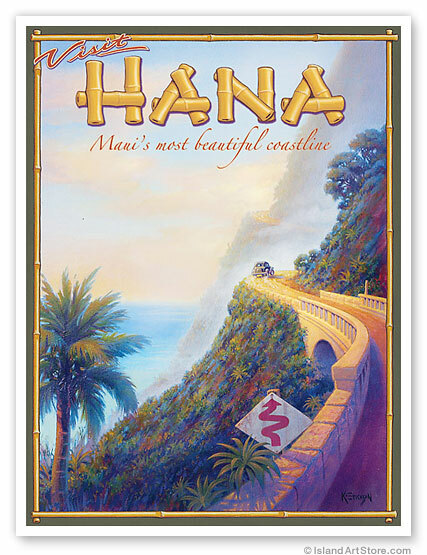 When we returned from Hana, the post office box was overflowing. 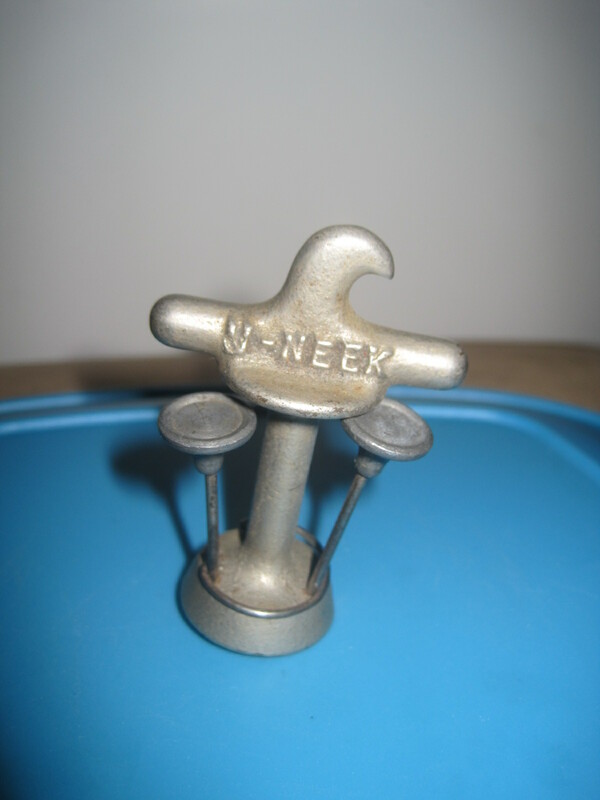 Bills, catalogs, and…corkscrews! Yes, there were corkscrews awaiting our homecoming. 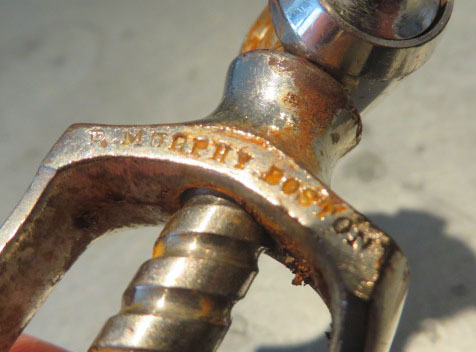 There was also a R. Murphy Boston corkscrew that showed up. It, obviously, has a bit of surface rust, and technically it is a double (or quadruple as it were), but the price was too good not to go after it. Not much corkscrew news beyond that at the moment. But, you never know what might turn up next. The past week has been simply fantastic, and this morning we said good by to Hana and Hamoa Beach, and made the drive back to the airport. And, after a couple of flights, we will find ourselves back on the East Coast. 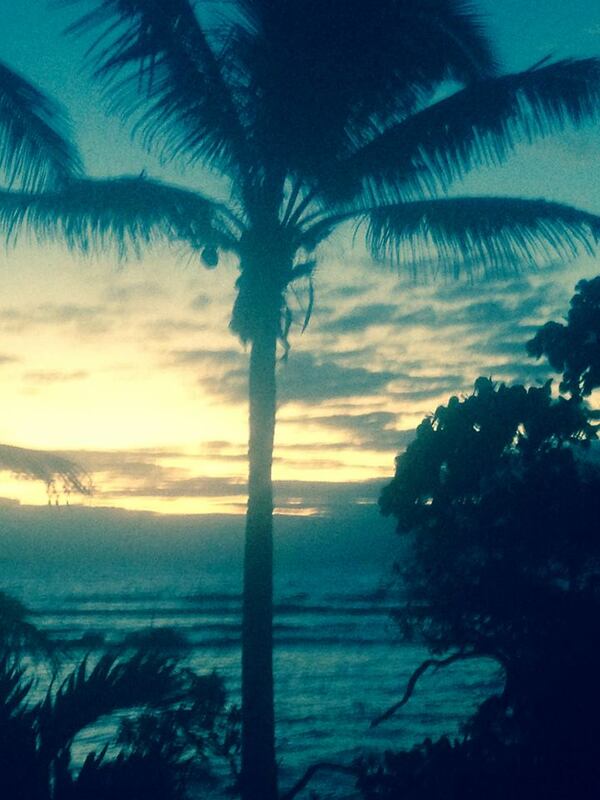 And, while no corkscrews were procured whilst hanging out on the beach, there are corkscrew stories to be told. I will be sure to update the blog upon our return to Vinalhaven. 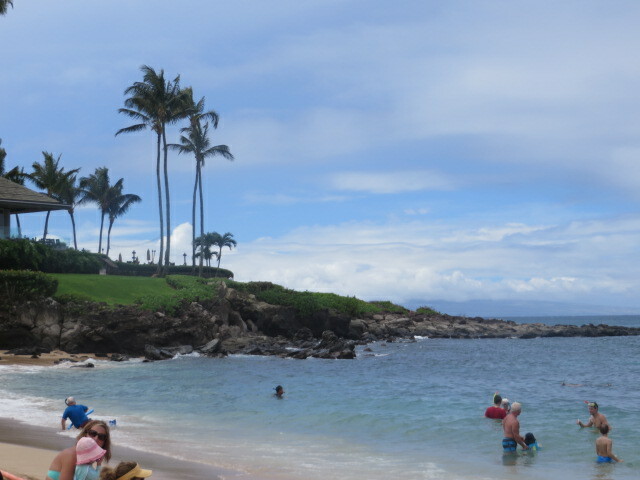 The lovely personal personal trainer and I, won’t be taking the road to Hana until tomorrow, but have been spending the last couple of days in Lahaina and the surrounding area; enjoying the sunshine, running on the beach, and even hunting for the illusive corkscrew. Yes, we actually found one! A corkscrew I mean… Of course, with a price tag edging over $1500.00 for a simple direct pull with a “questionable,” scrimshaw handle, the corkscrew remains where we found it. That said, corkscrews aren’t really the focus of the trip. 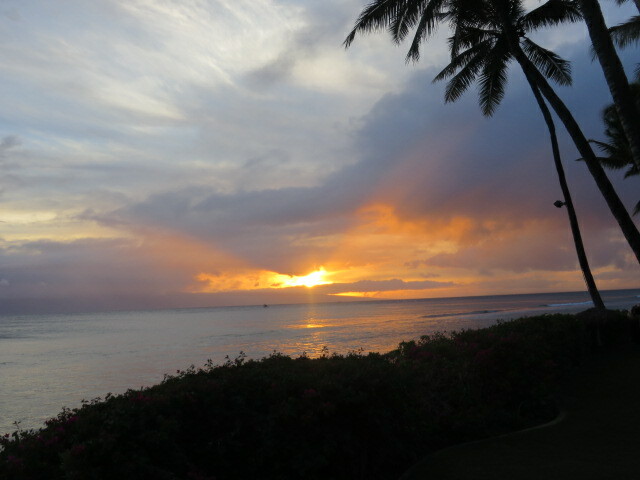 Rest, relaxation, and bit of sun, is definitely the order of the day (or week and a half).